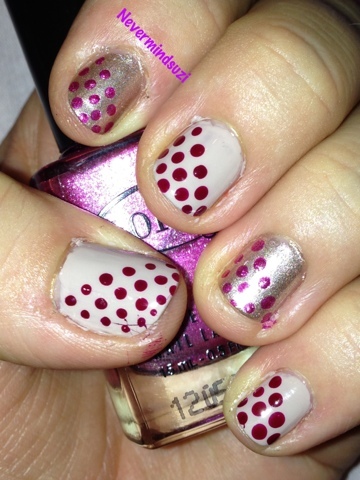 It's day 3 of the Lazy 15 Challenge and we're having a go at dots. I'm currently waiting on my new dotting tools (I gave mine to an 8 year old nail art fan I met whilst on my holidays) but I did find 1 tool in my brush set. 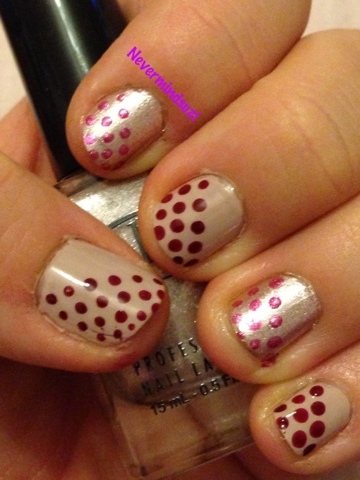 I fancied a neutral base but I also decided to mix it up a bit so I've done a creme version and a metallic version on alternating nails. Hey cute lady, how did you link up all the participants to this post? I can't figure out how to do it! 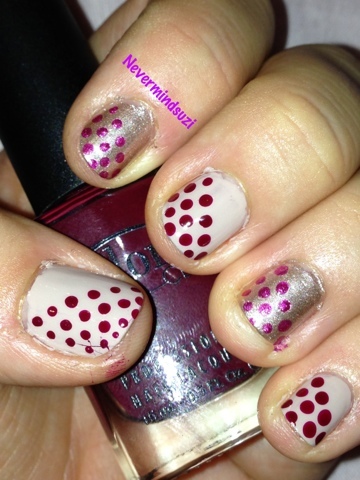 Ps, love the dots!